First off, let me add a disclaimer: my dad HATES that Patrick wears "jewelry." He has said on multiple occasions how he wants to "take that thing off his ankle and throw it away!" Dad, I love you, and understand your sentiment (my pops is old school...boys + jewelry don't mix), but he doesn't wear it as "jewelry", but instead as a practicality. 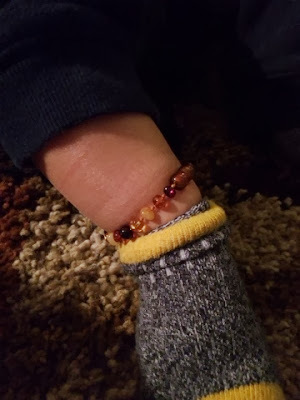 Several years ago, I was reading a high school buddy, Caitlin's blog, and she posted about how her son wears a baltic amber teething necklace (then followed up with another post a few months later). At this point, almost 2 years before we had Patrick, I read it and forgot about it. Thinking, "hmm, that's something different..." and didn't really think much of it. Well, fast-forward to August 2013: Patrick is 3 months old, and drooling like CRAZY. My first reaction: dude is getting a tooth. Greattttt. We had just settled into a nice sleeping routine, I was heading back to work (first time since March), and now I was going to have to deal with a fussy, crabby, teething baby. Lovely. 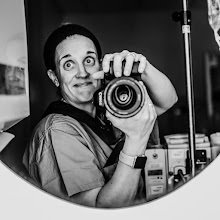 Well, around this same point, Caitlin had posted a pic on Facebook announcing that she was expecting her second kid, and CLICK! I remembered her post from a few years back about how her son wore a baltic amber teething necklace to help with teething! I immediately messaged her on Facebook and got her opinion. 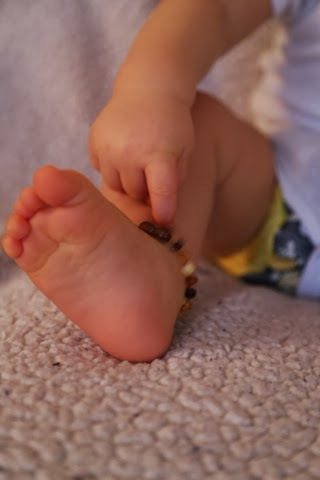 Baltic amber teething necklace and bracelets/anklets for children are attractive to wear and ideal to provide natural pain relief and soothing analgesic support during teething. Baltic amber necklaces and bracelets are beautifully made, comfortable, lightweight, and radiate energies of peace and calm as well as natural pain relief for the wearer. Wearing the teething necklace will help boost your child’s immune system, reduce inflammation and accelerate healing as teething progresses. Amber teething necklaces have been a source of traditional healing passed on for many generations and are widely used and treasured throughout Europe and the Far East as unparalleled alternative medicine with proven health benefits. Amber teething jewelry is made for wearing not for chewing. In a nutshell, baltic amber is a natural and safe form of pain relief, so that when it comes in contact with the skin it releases healing elements that go to the "source" (i.e. sore gums). So, I know you're wondering: do I think this anklet has "worked"? Well, it sure hasn't hurt! We have had ZERO issues with Patrick's teeth (he has four, two on the top, two on the bottom)--he's had minimal noticeable pain in his mouth (limited pulling at his mouth/gums), ZERO sleepless nights/middle of the night wake-ups, and less drooling. Is this all a result of his amber anklet? Who knows. I'd like to think so, but honestly, since he has worn it prior to cutting his teeth (he got his two bottom teeth right at 5 months), I have nothing to compare it to. However, I know that it is safe, cannot hurt him, and for $15, was well-worth the money even if it hasn't done anything for him and he just doesn't have teething issues regardless. Final question you're probably asking: would I recommend one? Heck yes. Definitely. First off, it's cheap--less than $20. And second, it's safe, so even if it doesn't have an impact on your child, it's not harming them in anyway. He will continue to sport his baltic amber teething anklet until all of his little toothies have come through!